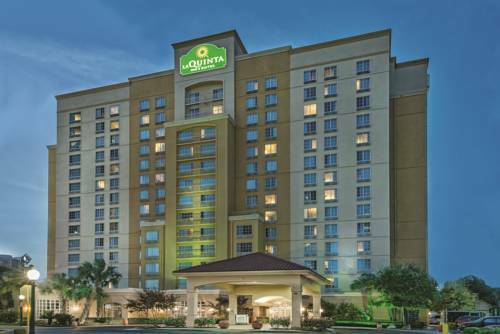 Located in the heart of downtown, the La Quinta San Antonio Convention Center is in the middle of all that San Antonio has to offer: Picturesque River Walk and historic Alamo, Market Square, the Henry B. Gonzalez Convention Center, Sea World, Six Flags Fiesta Texas, San Antonio Zoo and Botanical Gardens. You will find abundant eateries nearby, and plenty of shopping at Rivercenter and North Star Mall, and the San Marcos Outlet stores. Limited lunch and dinner menu.